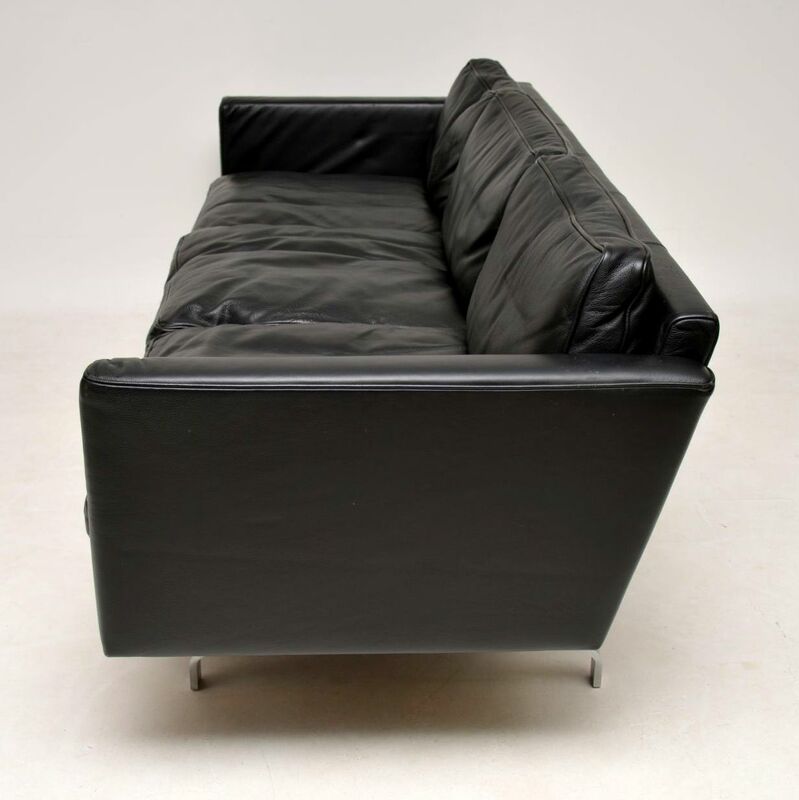 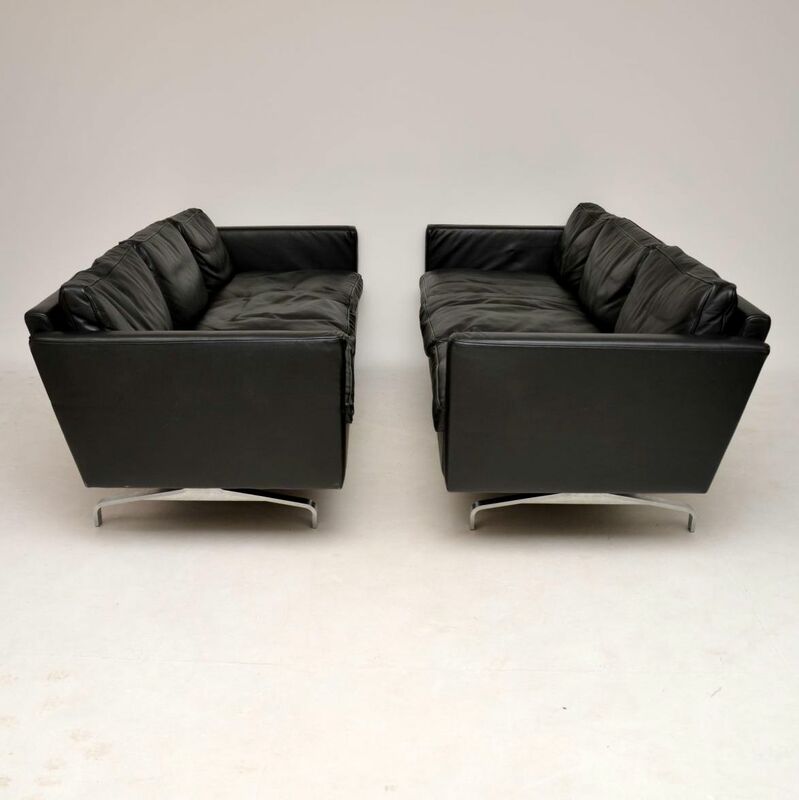 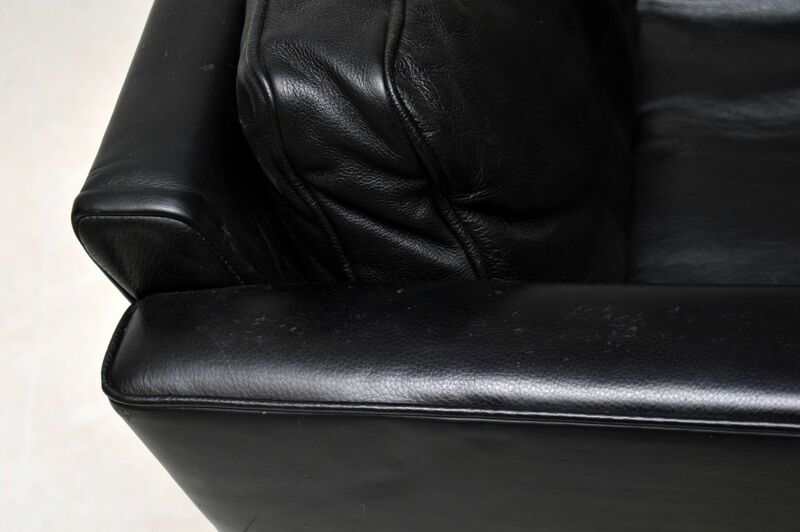 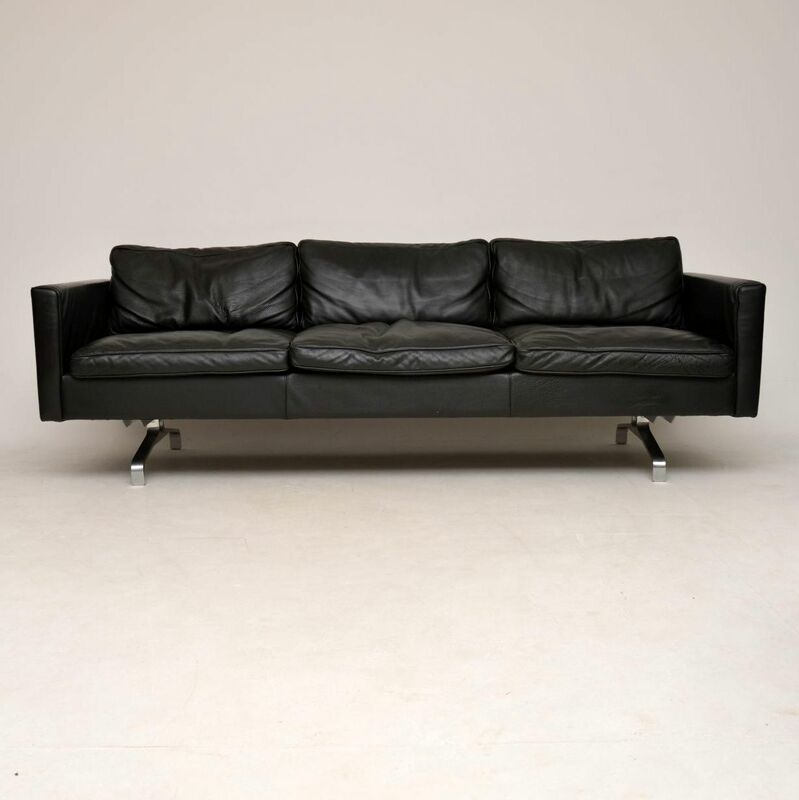 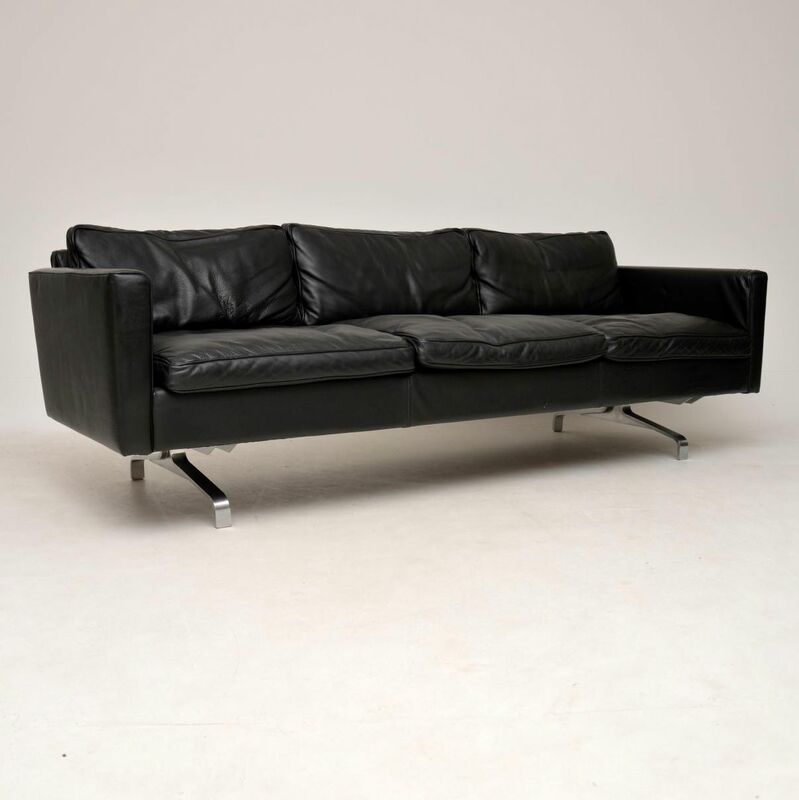 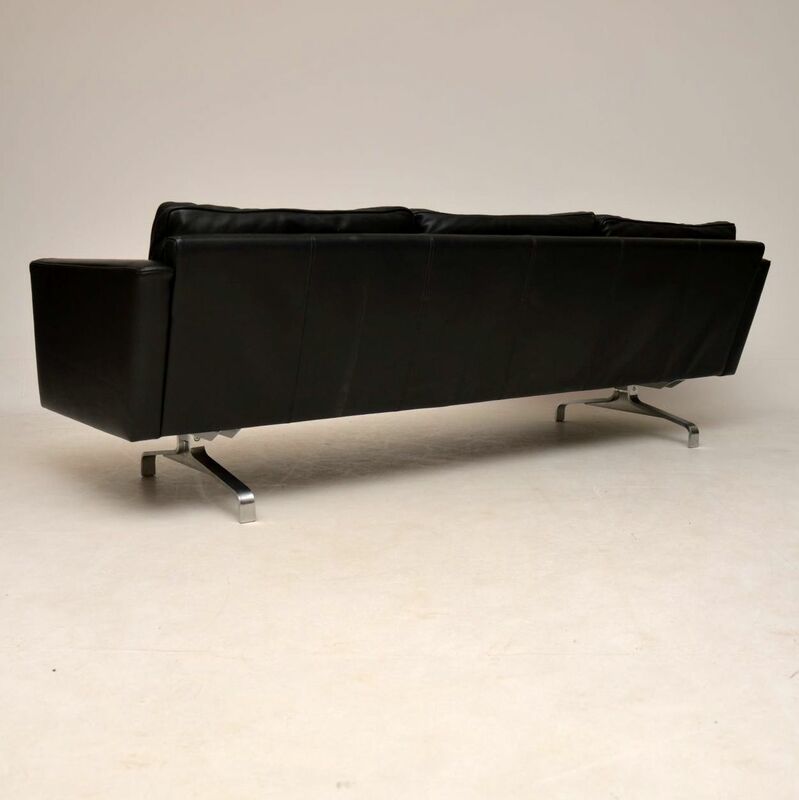 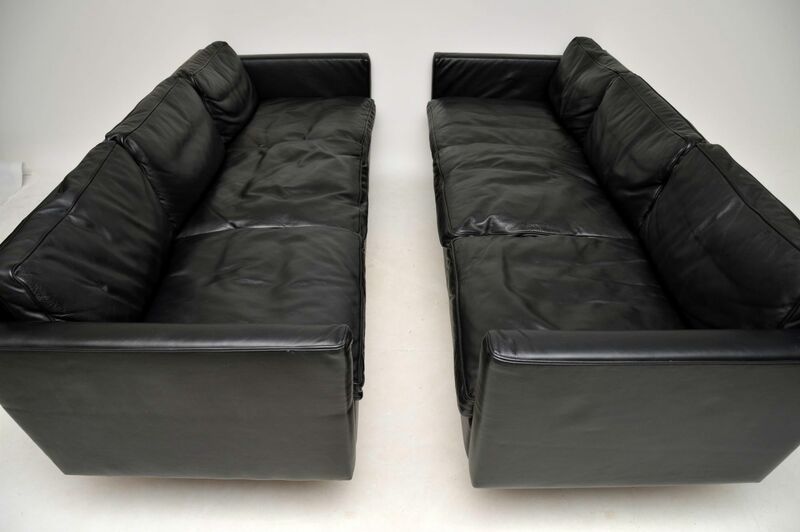 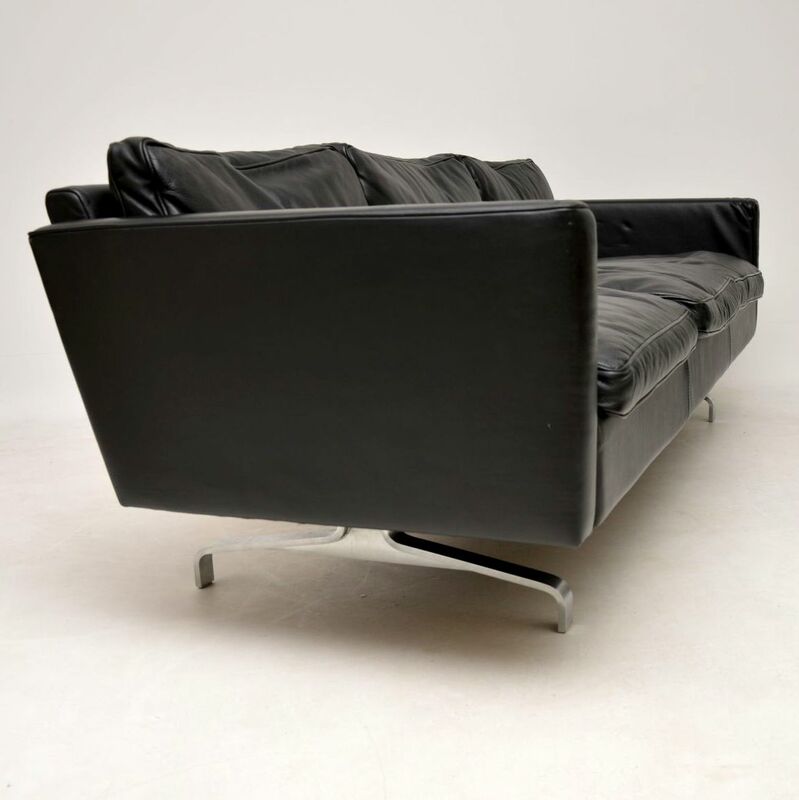 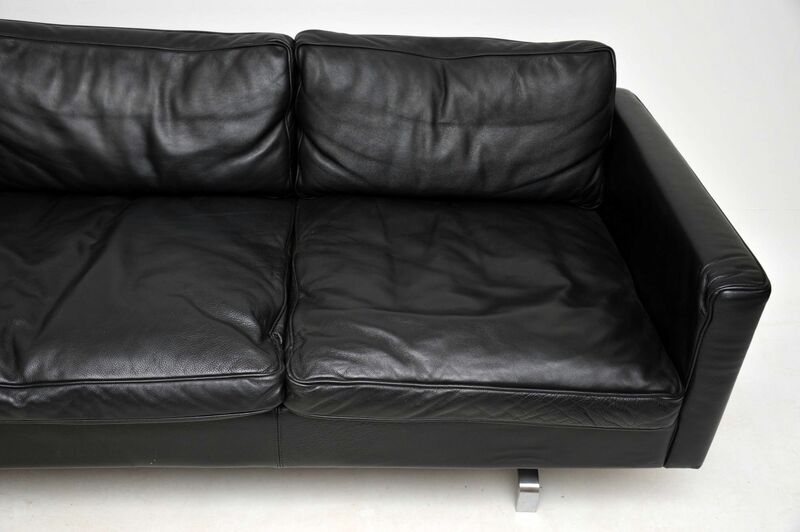 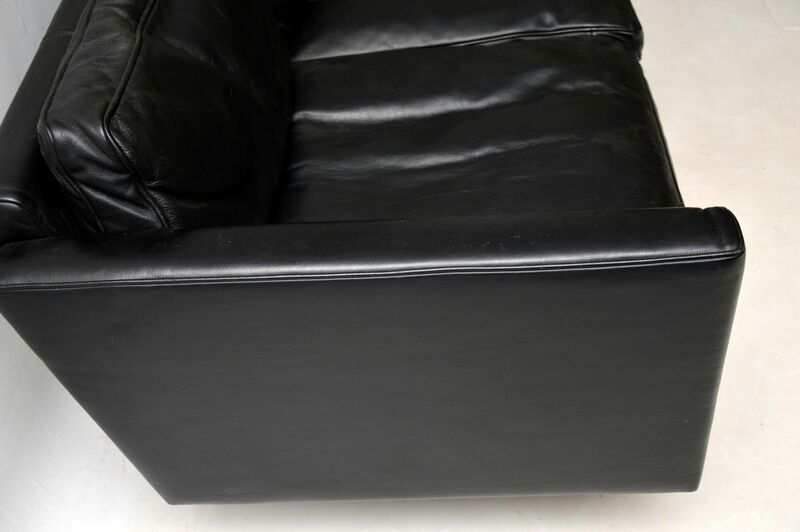 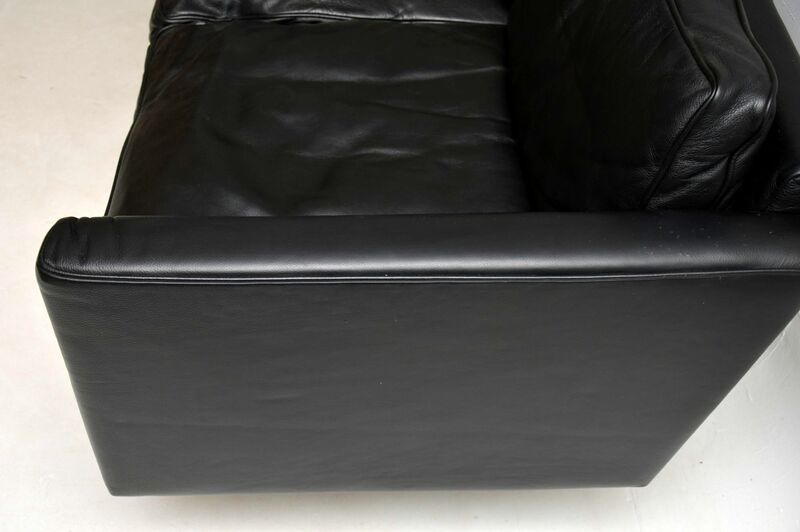 A very stylish, extremely well made and very comfortable pair of vintage black leather sofas, these were made in Denmark around the 1970-80's. 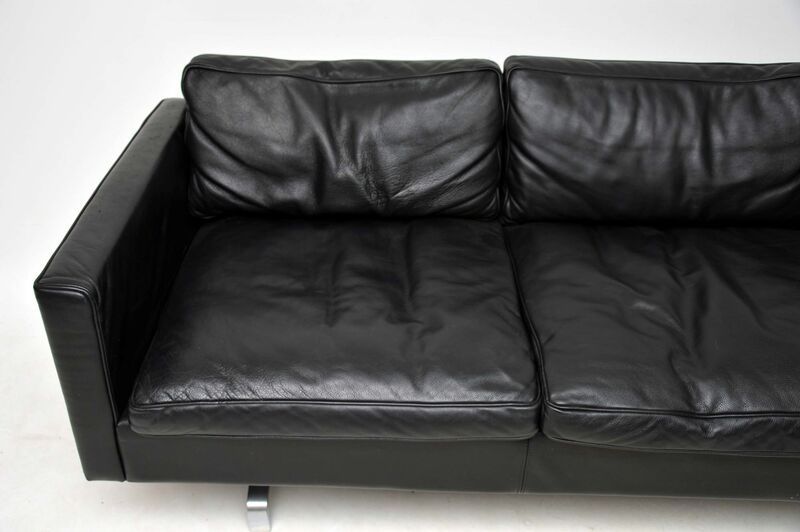 They are in excellent condition, with only some very minor surface wear, they have no rips or tears. 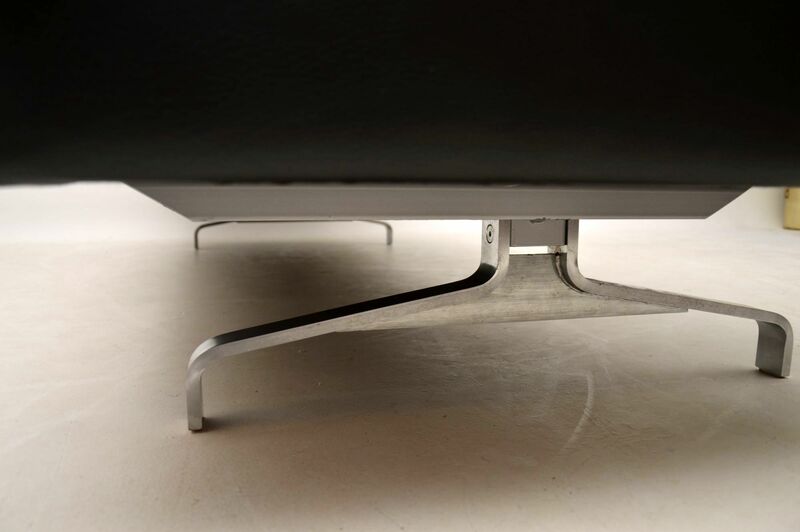 The cushions are down filled, these sit on very well made polished steel bases.